OXFORD, Miss. – Many pharmacy students are attracted to the profession because of a desire to help people and to build healthier communities. At the University of Mississippi, several pharmacy students have partnered with the McLean Institute for Public Service and Community Engagement over the last three years to get a head start on their goals. Brittany Byrd, a third-professional-year student from Minneapolis, Minnesota; Kate Sackett, another PY3 from Canadian Lakes, Michigan; and Anna Katherine Burress, a sophomore in the early-entry pharmacy program from Water Valley, have participated in the Catalyzing Entrepreneurship and Economic Development, or CEED, initiative. “We have been able to recruit outstanding UM students, like this group from the School of Pharmacy, who desire to participate with other university students and community partners in critically thinking about solutions to some of the state’s challenges,” said Albert Nylander, director of the McLean Institute and a UM professor of sociology. With financial support from the McLean Institute’s Hearin grant, students work to build community partnerships to promote entrepreneurship and economic development. Sackett was the first CEED student to work directly with the James C. Kennedy Wellness Center in Charleston. Through a summer internship under the direction of Dr. Catherine Woodyard Moring, Sackett was part of the assessment and planning team for the opening of the state-of-the-art health center. 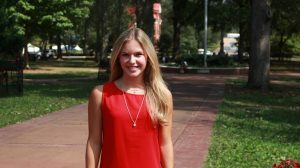 She completed her CEED work in 2016, but it has been carried on by a team of CEED students, including Audrey Dayan, a 2017 Ole Miss graduate with a degree in psychology, of Oxford. Dayan is a CEED innovation scholar who worked closely with Moring and the Charleston K-12 schools to help collect data on school health councils. The data were collected in partnership with the Mississippi Department of Education. 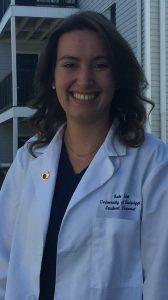 Sackett plans to complete her pharmacy education and specialize in pediatric care to help improve the health of future generations. Byrd was part of the CEED planning team that conducted the inaugural Entrepreneurial Learning Center in Charleston this summer. 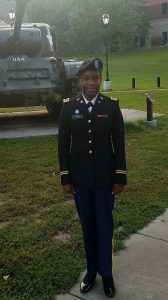 However, instead of working this summer in Charleston, Byrd, a member of the Mississippi National Guard, was deployed to South Carolina for three months during a training exercise. Two fellow students, Austin Carroll, a senior biochemistry major from Madison and a CEED innovation scholar, and Robert Patterson, a graduate student in health promotion from Como and a CEED innovation fellow, picked up the project and worked with nearly 20 youth at the Charleston Day Club, which is a part of the National Charleston Day Organization. J.R. Love, McLean Institute project manager of CEED, and other students in the program supported Carroll and Patterson on a rotating system. The CEED program has proven indispensable to Byrd’s academic success, she said. “I have been fortunate as a CEED innovation fellow to interact with many business owners and community leaders across the state,” she said. “One skill I have learned while in CEED is the ability to establish networks to attain common goals. Burress plans to continue the work set forth by her peers in the CEED program. Health care is a major factor in economic development in Mississippi and around the United States. “Being a part of CEED has been an eye-opening experience for me,” Burress said. “CEED has allowed me to see real-world issues and how we, as students, can positively impact local markets now and into the future in Mississippi. Burress said she hopes to complete her Doctor of Pharmacy and be making a difference in a community within 10 years. Goals of the CEED initiative provide valuable experience and opportunities for pharmacy students, said David D. Allen, dean of the School of Pharmacy. For more information on CEED, contact the McLean Institute at mclean@olemiss.edu or 662-915-2052.